Every now and then, I realize that I have a load of vaguely-interesting snappies on the ol’ phone. So here’s a bit meaty wad of them. Lots of construction walls are up in the Magic Kingdom, and instead of just telling us something like “This area is being refurbished for your enjoyment”, they have signs on them with inspirational quotes. The grammar on this one perplexes me. I think the period after the first word should actually be a comma, to make this one complete sentence. Either that, or an additional word needs to be socked in there, like “it” after “me” — although “Togetherness. 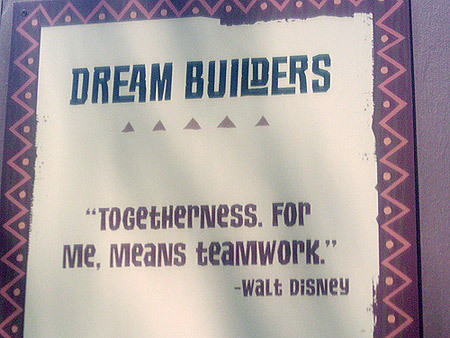 For me, it means teamwork.” still sounds awkward. I’m sticking with my preferred two-comma, one-sentence approach. And you know what? Don’t even get me started on the font. 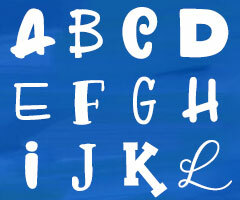 What a weird mishmash of lowercase and uppercase letters. There really should be a “People of Costco” photoblog. I never see anyone weird enough at Wal*Mart, but there are frequently good snaps to be taken at Costco. 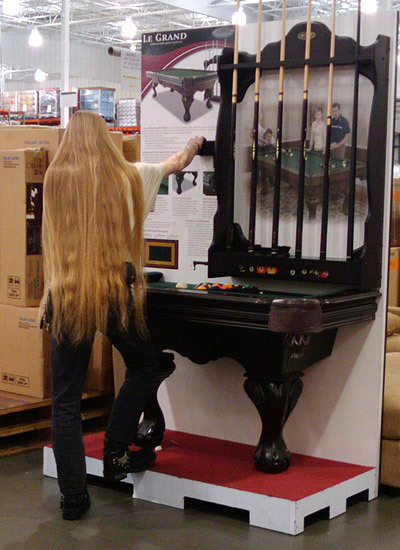 This guy was totally into the pool table display. That’s right, this guy. And did you know, I have a phobia about ultra-long, untrimmed hair? Can’t stand the idea of it touching me. Neatly trimmed and well-kept isn’t nearly as bad, but when you can tell they haven’t had a haircut in a decade? Ewwwww. This display was at a McDonald’s out on the coast. 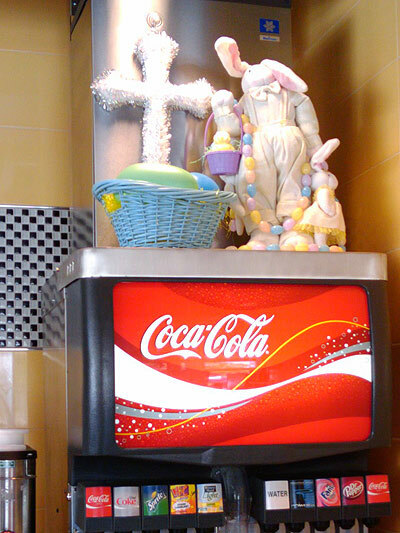 They had their Easter display all set up, with the glitzy tinsel cross and the creepy, doughy bunny. Both of which seemed inappropriate for a McDonald’s. Last but not least, I visited the mall with a buddy this last week. And we always like to try on weird and unusual things. I paired together this ribbon-shouldered shirt (Tommy Hilfiger, forty bucks!) 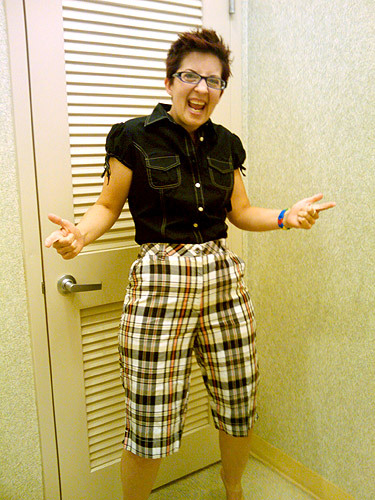 with some ghastly plaid shorts — the waistband is almost all the way up to lower boobsville. Add in some ankle socks and sandals, and I think I could fit in with the best of the tourists.